Cairngorms National Park have granted planning approval to a new Highland Games centre in Braemar, Royal Deeside, to celebrate the heritage of the annual event. 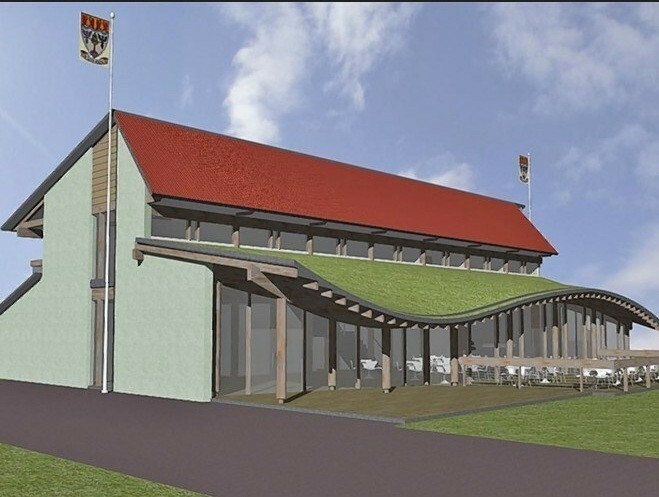 Prepared on behalf of the Braemar Royal Highland Society by James F. Stephen Architects the scheme incorporates a new grandstand and visitor centre to replace existing facilities. Finished in horizontal timber weatherboard, painted pale green, the bandstand incorporates overhanging eaves for shelter and is intended to complement existing buildings within the park.